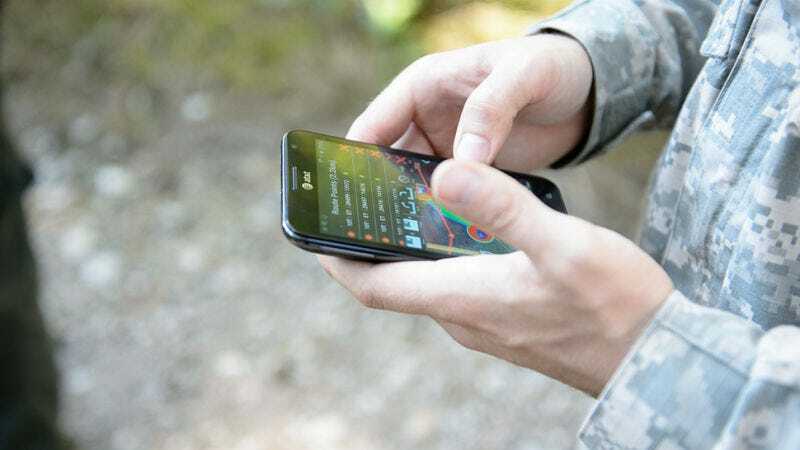 Members of the military and other Defense Department employees can no longer use apps or certain devices that track their location in operational areas. That means no more Fitbits in war zones, folks. Can you even believe this was ever allowed? The ban was first announced in an August 3 memo from Deputy Defense Secretary Patrick Shanahan. It follows a months-long investigation into the use of location-tracking apps after the fitness app Strava published a global heat map that accidentally revealed the locations of several United States military bases. The Pentagon’s response also comes after a Government Accountability Office (GAO) report to Congress calling for “enhanced assessments and guidance … to address security risks in DoD” posed by internet of things devices. The rapidly evolving market of devices, applications, and services with geolocation capabilities presents a significant risk to the Department of Defense personnel on and off duty, and to our military operations globally. These geolocation capabilities can expose personal information, location, routines, and numbers of Department personnel, and potentially create unintended security consequences and increased risk to the joint force and mission. The memo goes on to specify that the ban prohibits the use of “geolocation features and functionality on government and non-government-issued devices, applications, and services while in locations designated as operational areas.” It’s worth pointing out that the United States military has a lot of operational areas that include not only war zones in Afghanistan, Iraq, and Syria but also parts of Eastern Europe and Africa, where thousands of troops are deployed. So it’s a pretty broad ban. This is not a surprising ban, however. The Strava controversy served as a wakeup call for senior Pentagon officials, at least one of whom admitted to wearing a location-tracking Fitbit all the time. It also highlights the larger debate over the military’s use of technology and its handling of cybersecurity. For years, the Pentagon has been experimenting with increased use of smartphones and tablets in tactical situations. While active duty soldiers carry their personal devices to operational areas, they can’t take them on missions, so they’re left communicating through encrypted radios that haven’t changed much since World War II. Now, the Pentagon’s need to deal with the disconnect seems more urgent than ever. For now, it’s unclear what will happen to any Pentagon personnel caught using location-tracking devices. Manning, the Pentagon spokesperson, said punishments for doing so would be “determined on a case-by-case basis” and that commanders would be given “some type of space to make decisions on the ground.” Let’s hope those decisions don’t lead to a damn Apple Watch giving away the location of U.S. special forces, because that’s where we’re at in 2018.